Tickets for this concert may be purchased in advance here or at the door. The headlining act will perform at 9:00 PM. This show is all ages. In Japanese folklore, the crane wife is a bird disguised as a woman who spins fine silks from her own feathers, until her identity is discovered. The Crane Wives spin fine songs from whole cloth, and you will never want the melodies to leave your head. From murky origins in Chinese restaurants, high school ska bands, and dorm room jam sessions, the band came together in 2010 in Grand Rapids, Michigan, and immediately began gathering a following with intricate melodies, sister-harmonies, and compelling songcraft. 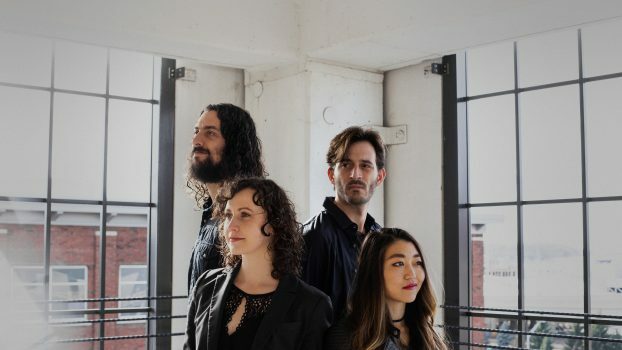 Initially part of the indie folk boom, their sound has grown and broadened with each new recording till categorization becomes difficult: rock, pop, folk? Just call it really good music. Audiences and critics agree: seven “Jammie” awards from influential radio station WYCE in ’11, ’12, ’16 and ’17; winner of Best Folk/Country song from international competition ArtPrize for “Easier” in ’12; a selection as one of ten “Entries We Loved” from the renowned NPR Tiny Desk Contest for “High Horse” in ’17; and winners of JBL Professional’s Best American Band Competition. Kate Pillsbury: guitars, vocals, a twinkle in her eye that tells you she sees through your BS but chooses to be amused by it. Emilee Petersmark: guitars, banjo, vocals, boots that will stamp out injustice wherever it may lurk. Ben Zito: bass, occasional howls, secret production weapon. Dan Rickabus: drums, harmony vocals, engineering, relentless and frankly exhausting levels of positivity. Four albums released to date: “Safe Ship, Harbored (2011), “The Fool In Her Wedding Gown” (2012), “Coyote Stories” (2015), and “Foxlore” (2016), plus a series of new singles in 2017, all available on iTunes, Spotify, Amazon, Google Play, Bandcamp, CDBaby, and hell, even Myspace. If you want to hear about love, life, fear, hope, pain, and the occasional natural disaster, this band, and these songs, are for you. At 23 years old, singer-songwriter Olivia Millerschin has composed and released two full-length albums. She was a quarter finalist on America’s Got Talent, won the Great American Song Contest, is featured on Republic Records soundtrack to a recent Mitch Albom novel, and has music in national film and TV. She plays ukulele, piano and guitar, headlines national tours, and opens for established artists. Olivia recently won her second John Lennon Songwriting Award allowing her to showcase on the mainstage at NAMM 2018. Also recently, her voice could be heard during the 2018 Olympics, Ice Dancing competition. 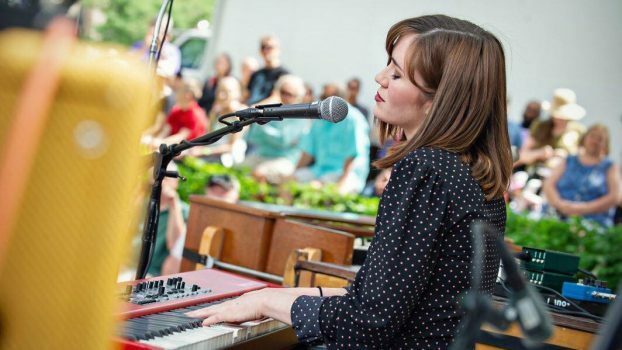 Olivia’s warm personality makes her audience feel right at home whether performing at a local coffee shop or Radio City Music Hall. 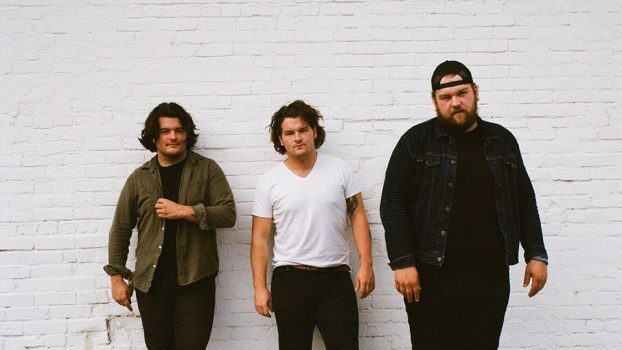 Inspired by folk, rock and country, the Detroit-based “Brother Elsey” feature brothers Jack, Brady and Beau Stablein. Brother Elsey has bonded over their shared love of rootsy music, and have become quickly recognized in the Detroit music scene. 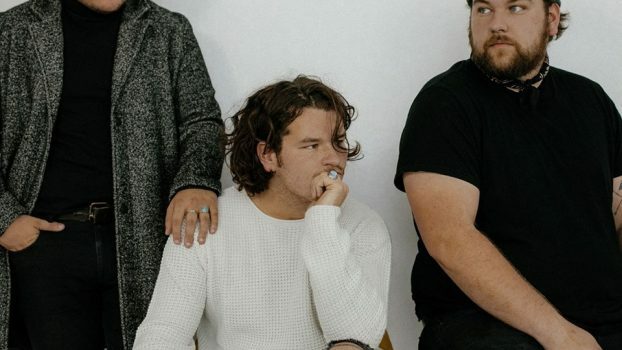 Their soulful and heartfelt lyrics have placed them on stages across the Midwest with National touring acts, along with up and coming local acts in the metro area. The brothers create music that moves while having a good time all the time; an experience they are so eager to share with anyone they can.